Celebrating and exploring the creative process! An intriguing idea out of New York City, The Work Office (TWO) is a multidisciplinary art project disguised as an employment agency. Informed by the Works Progress Administration (WPA) of the Great Depression in the 1930s, TWO is a gesture to “make work” for visual and performing artists, writers, and others by giving them simple, idea-based assignments to explore, document, or improve life in New York. On the “work” tab, the site gives examples of successfully completed assignments, including works that document the need for repair of something, create a regional travel guide description for a block or neighborhood, or record an oral history. Very cool! Paul Williams, who runs the Idea Sandbox blog, recently guest posted at Marketing Profs Daily Mix about an inventive way to keep brainstorming sessions flowing and remind participants to focus on idea generation, not evaluation, during such meetings. 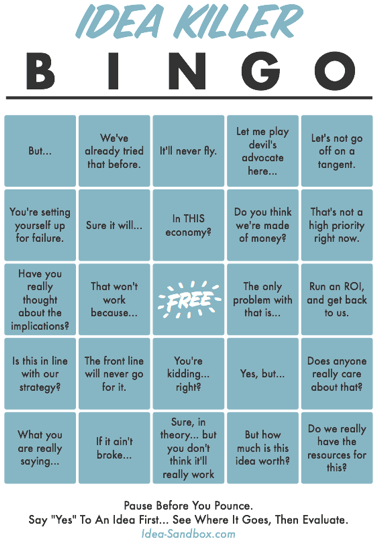 Williams created an Idea Killers Bingo game, complete with cards displaying the most often heard put-down phrases used to squash innovative ideas. I agree about the need for help, but it’s possible that playing the game as an ice-breaker might just make a point about negativity or instant evaluation. Plus, Williams has even provided a PDF link to samples of the Idea Killer BINGO cards, so what the heck? Williams declares his intention with the card is to help creative thinkers involved in brainstorming “pause before they pounce” on a potentially great idea. 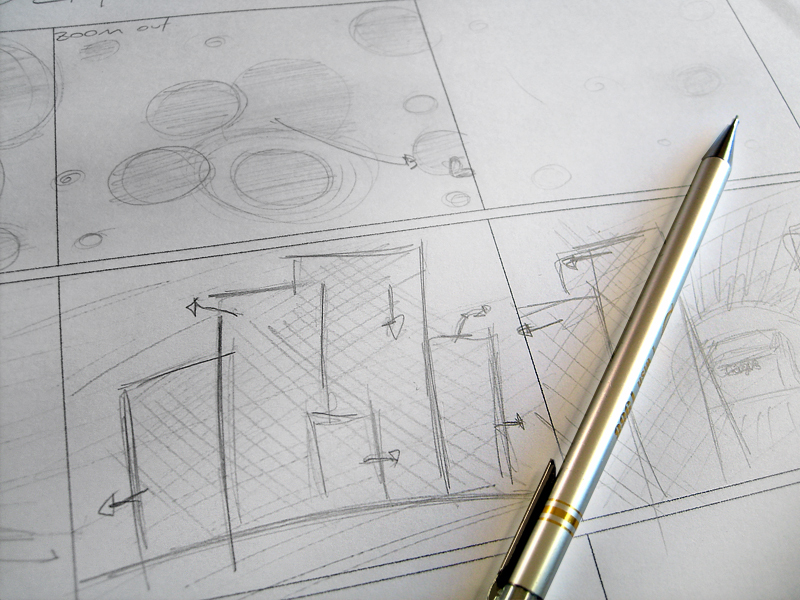 It’s definitely a great conversation starter for how to properly run a brainstorming session. When photographer Julius Shulman passed away July 15 at the age of 98, he left behind a trove of images that immortalized modern architecture. His photos trace the evolution of the built environment since 1936, giving insight into construction techniques, urban development, real estate, the advent of tourism in the jet age, and, of course, the history of Los Angeles. This Fast Company multimedia slideshow, with commentary provided by photographic and cultural experts, shows the depth of his work and how much insight and creativity it takes to develop a photograph for the ages, especially when the context is popular culture landmarks and corporate monoliths. From Worldchanging’s e-newsletter. A wonderful look at creative uses for empty storefronts, including references to how artists have used them for exhibition space. Hey there! thanks for the link! Thanks for the post.I like the idea killer bingo. good idea. Links and conversations related to nonfiction writing and editing.